Umek - Voltaren (Sergio Fernandez Unofficial Rework)FREE DOWNLOAD! 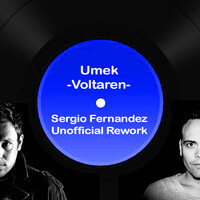 Sergio Fernandez revisits the classic techno track "Voltaren" by Umek, it was released on Phont Music in 2000. Unofficial Rework. 320kbs mp3 FREE DOWNLOAD for your dj sets!